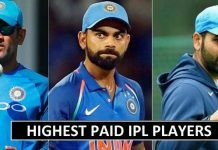 Top 10 Expensive Buys of Indian Premier League 2018 Auction: At the end of Indian Premier League (IPL) 2018 auction, England all-rounder Ben Stokes appeared as the most expensive choice. This past year, Rising Pune Supergiant shelled out INR 14.5 Crore for the all-rounder and now at IPL 2018 auction, Rajasthan Royals (RR) daily one picked him for INR 12.5 Crore. At the IPL 2018 auction Stokes became the most expensive choice with this. Not only for Stokes, Royals broke the bank to get pacer Jaydev Unadkat and on the next day of the auction he was snapped up by the franchise to get whopping INR 11.5 Crore. Unadkat seemingly became the most expensive Indian participant. The pacer surpassed batsmen Manish Pandey and KL Rahul who travelled to Sunrisers Hyderabad (SRH) and Kings XI Punjab (KXIP) respectively for INR 11 Crore each. Using Right to Match (RTM) card Kolkata Knight Riders (KKR) retained attacking batsman Chris Lynn for INR 9.6 Crore. KKR also picked Australian fast bowler Mitchell Starc, who became the third costliest overseas pick from IPL 2018 auction, for INR 9.4 Crore. Australian all-rounder Glenn Maxwell, who was snapped up by Delhi Daredevils was one of the top 10 expensive players. Meanwhile, on day two of the auction, apart from Unadkat, little known Gowtham Krishnappa was picked by Royals for INR 6.2 Crore. 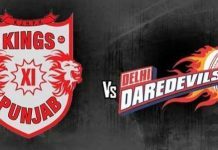 Kings XI Punjab bought all-rounder Andrew Tye for INR 7.2 Crore.